All our chefs share the same passion for food and precious expertise. Having worked in starred restaurants, they can offer you an exceptional culinary experience. 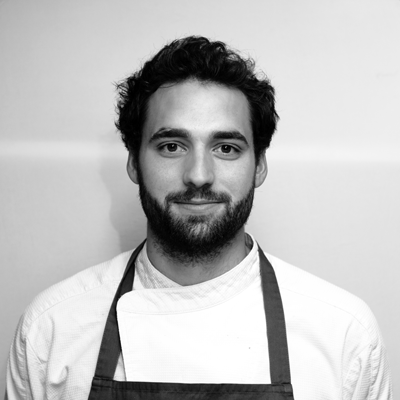 After studying business in Manchester, Maxime Bertrand decides to go down a different path and follow his real passion: gastronomy. He discovers the tools of the trade and the love of the products with Olivier Nasti at restaurant Le Chambard, in Alsace. He then continues his culinary journey with Philippe Mile at Château Les Crayère in Reims where he discovers a clean cuisine that highlights the produce while striving to perfection on both a technical and gustatory level. He then decides to move to Paris at restaurant Frédéric Simonin, where he perfects his skills within a small brigade. Pushed by a desire of experience, he then moves to New York to work for Daniel Boulud at restaurant Daniel, where the rediscovery of classic cuisine is blended with the multicultural aspect of the city. 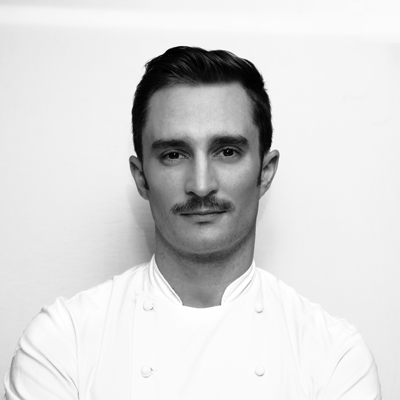 Enriched by the human and culinary experiences, he comes back to Paris to stand by Arnaud Lohyer and cook in your home. He discovers cuisine with Paul Bocuse, in whose kitchen he also prepares for the final of the competition Un des meilleurs apprentis de France. He continues to work in Lyon, a city known for it’s gastronomy, next to Nicolas Le Bec, from whom he learns fundamental values such as discipline and loving the produce. Following his desire to experience new things, he discovers the world of grand hotels while working at l’Hermitage in Monaco, where consistency and the teamwork of the large staff are the key to success. He refines these skills in L’Apicius in Paris, next to Jean-Pierre Vigato. A second stay in Monaco brings him to Hôtel de Paris, where the experience and precision of Alain Ducasse help deepen and perfect his skills even more. Pierre Gagnaire’s invitation to participate in the opening of a new restaurant brings him to St Barth. Upon returning to Paris, he stays next to Gagnaire in his restaurant Gaya from where he joins the team of the Restaurant Pierre Gagnaire in rue Balzac. His experiences combined with a desire for freedom and meeting new people have brought him out of starred restaurants and into your kitchen.